Temple is dedicated to Lord Siva. Temple is located in the foothills. 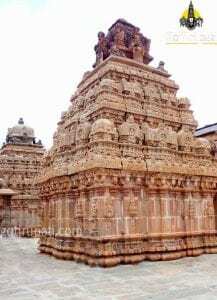 The "Bhoga Nandeeshwara" shrine located in the North was built during the reign of Banas in 9th Century AD, later renovated by Cholas in 11th century AD, Hoyasalas and Vijayanagara Emperors. It is believed that Yoga Nandeeshwara performed penance on this hill. This temple was built during the reign of Cholas. There will not be any Poojas at this temple. 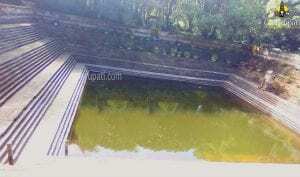 Temple Tank called by Amrita Sarovar. Where Amrita means Nectar, Sarovar means Pond. Water never dries in this tank. Tourists can spend their time in the Park surrounding the tank. Haidar Ali started the fort construction later completed the work by Tippu Sultan. The fort called by Nandi Durga. The fort was built on 90 acres of land and is 4851 feet above the sea level. Tippu used to implement death punishment by dropping Priosers from this point. River Palar takes its birth on the eastern of the Nandi Hills. Origin of River Arkavati lies on the South-West of the Nandi Hills.